There are hard seltzers, and then there’s Crook & Marker, created by Benn Weiss, the brainchild of Bai Water. This zingy spiked and sparkling beverage offers all of the “party in your mouth” flavors customers want from a hard seltzer – with none of the sugar and only at 80 calories. If you’re looking for a game-changing addition to your restaurant drink menu or liquor store shelves, look no further than Crook & Marker. Ben Weiss burst onto the beverage scene in 2009 with the founding of Bai Antioxidant Beverages. Based on the belief that “great taste” and “good for you” can peacefully coexist, the brand’s clever concoctions have included original, antioxidant-infused Bai, fizzy and fruity Bubbles, “smart” Antioxidant Water, tropically inspired Cocofusion, and bold, real-brewed Supertea – all shockingly low in calories and sugar with zero artificial sweeteners. Not a believer in the concept of quitting while ahead, Weiss took aim at the alcohol industry and hit the bullseye with Crook & Marker. 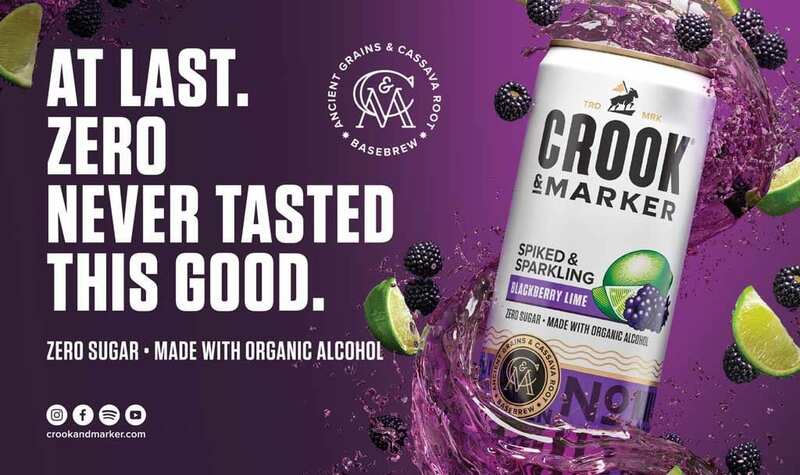 With so many spiked and sparkling beverages saturating the market, you may be wondering – what makes Crook & Marker different? For starters, Weiss applied the same can-do attitude toward devising this beverage as he did to all of his other cult favorites. Varieties like black cherry, tangerine, strawberry lemon, blackberry lime, grapefruit, mango, peach, and coconut pineapple deliver the luscious, taste-bud-tickling flavors consumers crave. However, unlike its hard seltzer competition, Crook & Marker lacks two noteworthy things – sugar and artificial ingredients. Hence, the inspiration for its name. In the spirit of “markers,” or the black sheep that shepherds used to keep track of their flocks, as well as “crooks,” the tools wielded to corral them, Crook & Marker is all about pushing the boundaries and refusing to be penned in. Now that we’ve covered what’s missing from Crook & Marker, it begs the question – what ingredients can be found in this boozy, bubbly beverage? Simplicity is a hallmark of Bai, and this remains the case with Crook & Marker. Each bursting-with-boldness can contains organic alcohol made from cassava root and ancient grains like quinoa and millet, natural fruit flavors, and a brilliant blend of natural sweeteners. In fact, Crook & Marker is the market’s only spiked and sparkling beverage made with organic alcohol and no sugar. The result? A true sipping sensation and hard seltzer standout guaranteed to keep your customers coming back for more. And did we happen to mention that low-carb Crook & Marker is also certified organic, vegan, and gluten-free? In other words, it promises to be a crowd-pleaser with today’s health-conscious consumers. Why settle for offering your customers ordinary spiked and sparkling beverages when you can put extraordinary within their reach? A leading beverage distributor serving more than 8,500 customers in Rhode Island and Connecticut, family-owned Mancini Beverage boasts a product portfolio comprising more than 4,000 industry leading brands in all beverage categories. Contact us today to place your order for Crook & Marker spiked and sparkling beverages.